When you love to create, then you really love to create when the wedding is yours. I was having lunch today with my two cousins and I had to admit that there are just so many beautiful things to do that I can't make a decision. This is one of those instances where less is better - the less to choose from the more decisions I make. 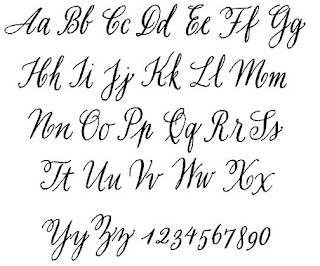 But when you have an incredibly long guest list, calligraphy seems like one of those luxuries like swans or snow machines. The only options this girl has is printing the envelopes or ... diy. 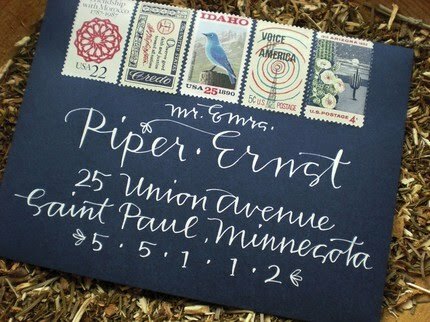 Etsy artist Primele is amazing and her fonts truly inspire me. 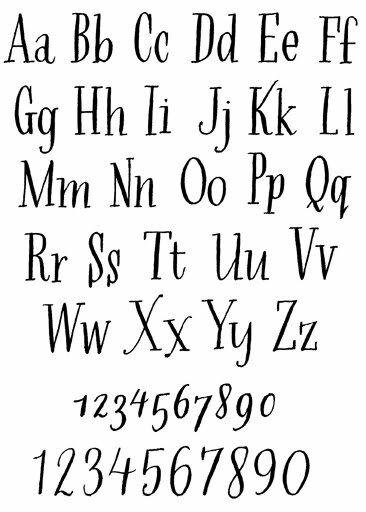 She doesn't create your traditional calligraphy font, but instead a more modern, whimsical type. 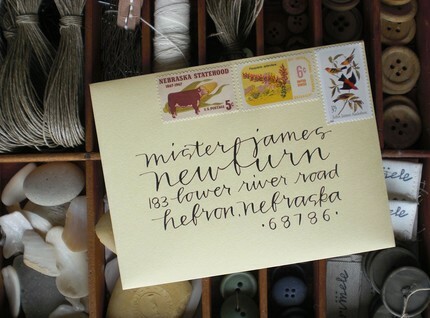 She creates address stamps too! 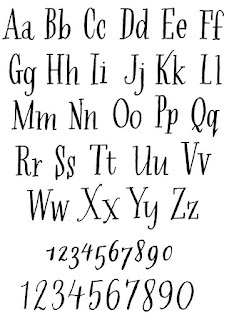 I went online and looked for font samples and further instructions. 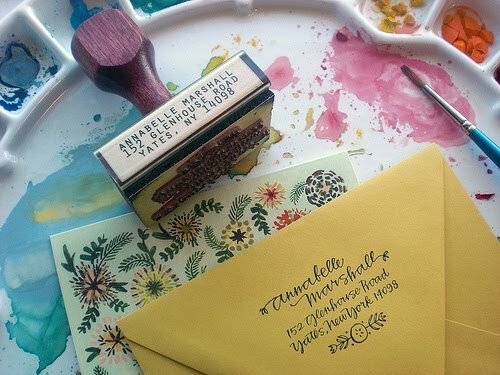 I found some great ones from Leigh Wells and her Ink Wells blog. 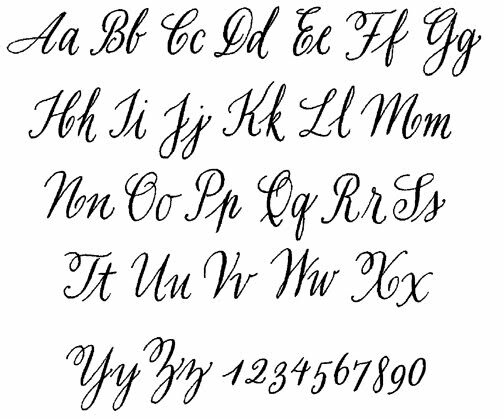 I purchased a starter calligraphy set from Michaels Stores and made a go at it. As you can see (three pages front and back), I'm not very good. I need some serious practice but with all of this inspiration (and 7.5 months), I can do it. I also saw Leigh Wells and was inspired! So how do you learn the styles above? Are they taught in calligraphy books?